To: United National Party (UNP), Janatha Vimukthi Peramuna (JVP), Tamil National Alliance (TNA), Democratic Party (DP), Frontline Socialist Party (FLSP) and others. According to reliable reports, President Mahinda Rajapaksa has decided to consult the Supreme Court regarding the possibility of calling for the next presidential election before 19 November this year (Colombo Page, 14 August 2014). The purpose is declared to be to hold the election before Pope Francis’ scheduled visit to Sri Lanka on 13 January 2015. But there can be other hidden agendas or motives. It has to be admitted that the opposition is not well prepared for the forthcoming national election/s as the government does. The government is sure to utilize the full force of the state apparatus although that would be a blatant violation of the election laws of the country. This is also a predicament of the abolition of the 17th Amendment. As you all would admit, President Rajapaksa does not have a moral right or a people’s mandate to contest for a third term. That is against the democratic norms accepted internationally. This is not something he declared at the 2010 election. The passage of the 18th Amendment was possible through the previous crossovers from the opposition ensured offering perks and privileges. 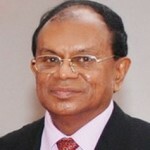 Sri Lanka has degenerated into low depths of political corruption. After the end of the war, the country had much hope and opportunity for peace and national unity. These have vanished into thin air as a result of short sighted policies of authoritarian rule installed to control all communities and pitting one against the other. As the past events have confirmed, the Rajapaksa regime does not believe in democracy, rule of law, independence of the judiciary or human rights. Most despicable is the family rule. All these deviations from democratic norms have been possible because of the presidential system and its unbridled strengthening. All these are reasons why the opposition should unite and field a common candidate. Sri Lanka entertains enormous economic opportunities for sustainable development given the Asian resurgence, particularly in India and China. Rajapaksa regime has exploited these opportunities mostly for the benefit of the family, friends and political coterie. If not for the lopsided policies, Sri Lanka could definitely achieve a double digit economic growth. The present economic benefits have not been shared with the poor or the remote provinces. There are so much of hidden economic grievances amongst the people. No one is asking the parties in the opposition to form into a one party or respect the hegemony of one party. The strength of the opposition is its plurality of polices allowing the people to select their representatives depending on their policy preferences at a parliamentary election. In that respect, the future parliament could become a healthy institution allowing the major party or parties to form a viable and a vibrant government. UPFA policies have become stale and barren. However, the presidential election is different. Sri Lanka is at cross roads. If the incumbent president is allowed to win again that would be the virtual end of democracy in the country. Political issues have thus become more crucial than the economic issues. What is required is democratic unity or unity for democracy. It is a question of united we stand or divided we fall. In recent times, a forceful civil society movement (National Movement for Social Justice – NMSJ) has emerged led by Ven. 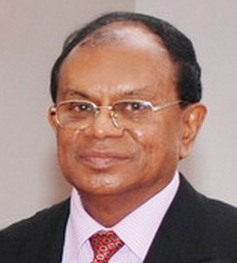 Maduluwawe Sobitha to call for the abolition of the executive presidential system. It is well known that most of your political parties participated at their recent seminar and held talks with the NMSJ. It is true that the NMSJ wants the abolition of the EP system as the single issue. That might not be possible or advisable. There are other issues. The abolition of the EP system might not be that easy as they have put forward in their road map. Bu they have also called for a common candidate. That is entirely a rational call. The NMSJ strategy is also limited to the presidential election. That is also not possible or desirable. There should be a common strategy for both elections. If you all agree on the abolition of the executive presidency, as you have all declared, there is no point in your leaders contesting the presidency. Your leaders can contest the parliamentary elections jointly or separately. These are matters that you can discuss together and agree upon. However, what might be important is to put forward a common candidate for the presidential election. There should be a minimum platform agreed upon, for example, 10 point program. You may appreciate that apart from the NMSJ movement for the abolition of the executive presidency, there have been several almost spontaneous civil society movements that have emerged in the past. One was the university teachers’ movement (FUTA) that demanded incremental 6% GDP allocation for education. Likewise, after the impeachment of the Chief Justice, lawyers came forward under the BASL banner to uphold the independence of the judiciary and rule of law. Although not yet crystalized into a movement, there is an urge on the part of the public servants to be independent and conduct their tasks without undue political interference. There were several other movements, trade union and people’s demands. University students were clamouring to preserve free education. Journalists are still uneasy about the restricted media freedoms and threats. These and others could constitute a 10 point or 12 point program. Human rights also could constitute a central position. There should be a commitment to necessary devolution and to promote ethnic harmony in the country. Promotion of a responsible business sector (Rathupaswela), unity to desist hate speech and violence (Aluthgma), and not to use the armed forces for social coercion (North) and preserve their professional dignity also could be highlighted. Even to pursue an active non-aligned foreign policy, and oppose the current fiasco, could be one of the program points. Beyond the agreed minimum program, all parties should be able to campaign for their own policies and platforms. What is necessary is to avoid ‘dog-fights’ within the opposition. The election campaigns should be educational, inspirational and should be able to mobilize and move people for electoral action. It is better to start them soon without procrastinating. If the campaigns are strong and motivating, there may be other parties in the government at present who would join. The parties could be welcomed but not the tainted individuals. I am not going to discuss who might be the suitable common candidate. You may select that candidate from one of your political parties or from outside. If a person is selected from a political party he/she should resign from that party to show allegiance to all parties in the united front or the joint program. The person should be a credible one with strong political will. Although the NMSJ has proposed a road map to abolish the presidency within six months it might not be possible. One year period might be more feasible and then there might be a possibility of even overhauling the whole constitution within that period. However, it is not my main point or appeal. My appeal is for you to get united as much as possible, talk to each other in a workable manner, and come to some understanding without delay. When you select the common candidate, he/she should be a reliable person, not to run away with the presidency but to abolish it. At the same time he/she should be of a strong political will. Until the mission is accomplished, he/she should act as a nominal executive nevertheless forming a caretaker government after dissolving the existing parliament and dismissing the government. Of course he/she should follow the constitution. The executive powers should be on the reserve, in case if anybody, particularly the defeated regime tries any foul play. From all my political science knowledge of over 45 years, defeating the regime and the president is feasible, if the opposition is united and united forcefully.